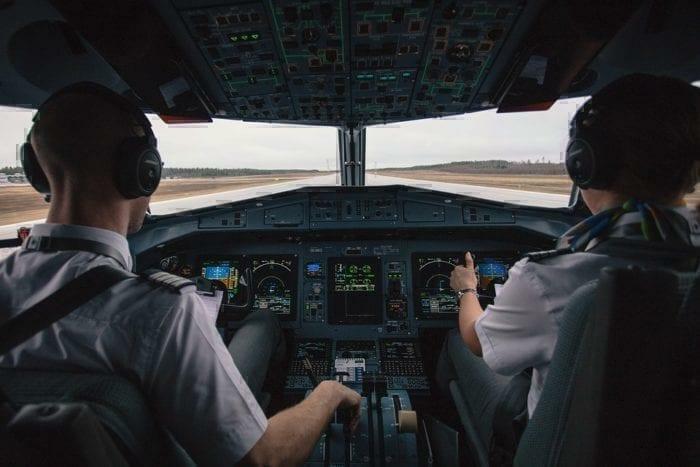 We have all heard the doom and gloom of the upcoming (and perhaps even current) pilot shortage, with news that some airlines (As big as Emirates) have had to cancel flights due to the lack of pilots. But how much of that is fact and how much is fiction? Let’s look into it. Right now there is a lack of pilots available for smaller regional airlines. As older pilots retire, younger recruits are poached more rapidly from regional airlines to fill in the gap. This leaves no pilots to fly the smaller routes and hence canceled flights. Some of these salaries can be upwards of $200,000 USD in the Gulf States or $500,000 in China. Many of the original experienced pilots flying today received their initial training in the military. This might be the Airforce flying missions in Vietnam to the Gulf War, and as such, they have plenty of flight hours flying massive aircraft. As they retire, Airlines need to refresh their pilot teams with new talent. But there is no longer a vast amount of experienced pilots from wars waiting in the wings (pun intended!). A fantastic video by Wendover productions goes into the current situation in great detail. So the obvious solution is to recruit more pilots and fill in the gap. But in reality becoming one is actually rather difficult. Why is a career in Aviation difficult and expensive? Unfortunately, it turns out that being a pilot is one of the more difficult things you can do. The main reason is that to become a commercial pilot flying an A380 for example, you need a certain amount of flight hours. And this is not cheap. One commentator wrote this story of how to become, and keep a job as a pilot. After spending roughly $80-100,000 USD on flight training, you’re looking at two years of flight instructing making less than $40,000 USD. After that, at the regional level, you will be making $40,000 USD a year for a few years. If you ever want to go to a major you need a bachelor’s which is another $100,000 USD investment. A degree, flight training, building hours and the regionals can take a decade of your life. To Captain a commercial aircraft, you must have logged at least 1,500 flight hours and hold a full Air Transport Pilots Licence (ATPL). However in reality, most short haul airlines require a minimum of 3,000 hours before considering any pilots for promotion. You are now nearly 30 and you have not flown a commercial jet carrying more than 100 people. 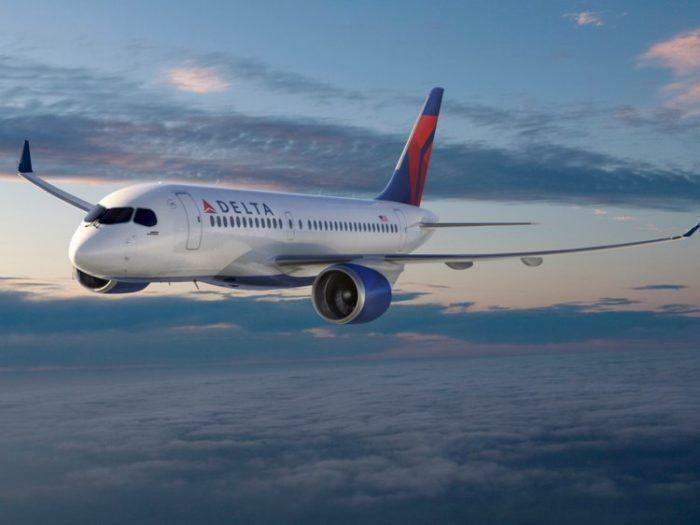 You would be barely able to fly Delta’s new Bombardier/Airbus C-100/A220 – Seats: 130-160 passengers. All the while if you have any serious medical problems you will lose your career. If you take frequent medications you will lose your career. If you get a DUI you lost your career. Forced retirement at 65. Maximum 16-19 hours flying time a week (You cannot go over this limit thus no way to earn extra money). Keep in mind pilots get paid based off of seniority and invest their life into whatever airline they work for. If the company has serious financial problems you could lose everything you worked for decades to achieve, just like we have seen with many major airlines. 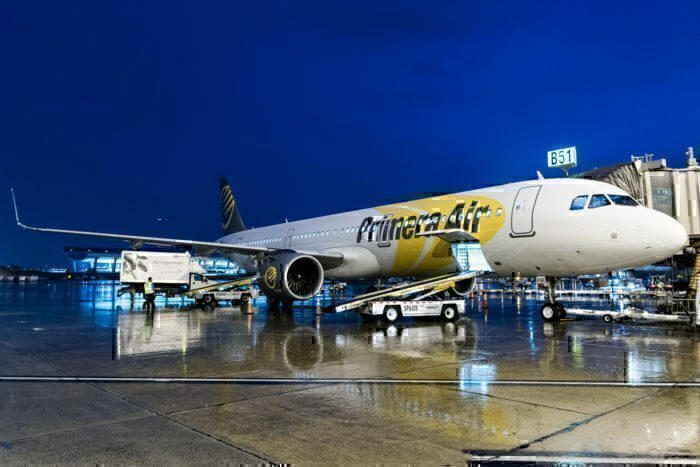 Primera Air went bankrupt earlier this year, with all pilot staff being dismissed (And stranded) around the world. But… why? Why is the career path like this? This authors opinion is that Airlines (and current pilots) are to blame. 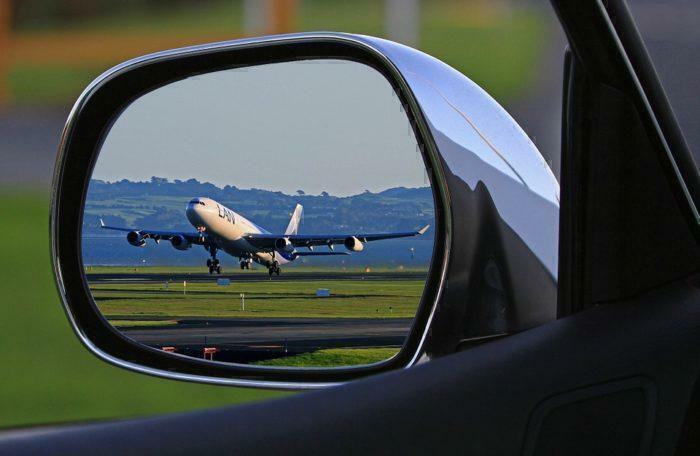 The golden age of cheap air travel might be in the rearview mirror. Why are the Airlines to blame? It’s because they want pilots for cheap as possible. As we mentioned at the start of this article, there was an influx of trained military pilots after World War 2, Korean War, Vietnam and so forth. This mass of talent allowed airlines to pay less to new pilots as they could count on having a surplus of experienced pilots. However, there have been fewer pilots trained since then and thus more have had to come through the civilian route. With the cut off being 65, many of the existing fleet pilots for majors like United or Delta, are starting to retire. But as training to be a pilot is so expensive, fewer young people want to put themselves through it to maybe get a role with a major airline. United has a stack of 10,000 pilot applications collecting dust at their office. There is no lack of qualified pilots. Thus, the easy solution is to offer more money up front. But Airlines are already watching their bottom line crumble would never consider paying their pilots more, thus the strikes we have been seeing. The idea that ‘people don’t want to become pilots’ is false, just that Airlines want skilled pilots without paying for it. Add in additional factors such as gatekeeping older pilots who want to hold onto their larger salaries (and insist on the required flight hours before someone can become a commercial pilot) and you have a perfect storm of a ‘pilot shortage’. What are they doing to solve the problem? Airlines have come up with several solutions that might solve the problem, some are great and some would change the industry forever. Pay pilots more. The most obvious solution. But as mentioned in the video above, this would cause tickets to go up and thus many regional routes that are a service would no longer be economical. Train more pilots themselves. Like we are seeing with China buying up flight schools, airlines are now choosing to train their own staff for far cheaper, on the condition that they must work for a certain number of years at their benefactor’s airline. Find new demographics. Airlines could employee more female pilots or find new demographics that are underrepresented in the pilot industry. This could be regions such as Asia or perhaps Africa. What might be low pay for someone in the west might be a small fortune for them. Reduce pilot requirements. Working with the international aviation authority, airlines could reduce how many pilots are required on flights. We have seen this already with Emirates who now only have three pilots on many international routes, despite previously requiring four pilots (Two main and two relief). Repace pilots completely. The worst (or best depending on your point of view) would be to replace pilots with artificial intelligence that can fly the plane completely. Perhaps a simple technician on board for troubleshooting. Whilst you may not be comfortable with that idea, it is the most profitable for the airline. Ultimately, there isn’t a pilot shortage. There is a pay shortage. What do you think? Is there really a pilot shortage or is greed preventing the demand from being filled? What? This is far from accurate. I’m 30 and I’m an A330 Captain. No bachelor’s degree, no military time. Flew a Q400 at 23. First jet at 25. All I have is a grade 12 education. There’s a huge shortage of pilots, its just not at the entry level phase. The airline I’m with can’t find any pilots. We aren’t canceling flights yet, but we definitely are flying a ton of overtime. thanks for the insight, Stephen! I’d love to know more about your journey, what country are you flying in? The problem is as you said, you are 30 and a captain, but they need more pilots of your experience level now, but it takes 10 years to train someone up to your level. true, just look at airline requirement, 45 years max to apply. if there was a real pilot shortage they would take guys of 50. I m 50, atp, and can not even find a decent job in aviation . many of my friends in Europe have given up already , after qualified you must pay for line training and type rating. it s crazy how young people will do anything for this job… they want flying monkeys who pay for ALL.